Your business doesn't stop when you or your employees are on the go, quite the opposite. In a world that increasingly demands immediate response times and snap decisions, you can't afford to be out of contact. Star2Star has a comprehensive suite of mobile unified communications (UC) solutions that free your on-the-go workforce from their desks. Workers that aren't tied to a desk still need to stay in contact, whether they're talking to customers across the showroom floor or conducting late night negotiations from their hotel room. More and more companies are allowing employees to bring their own devices with their own personal numbers, making it challenging to know how to reach someone. 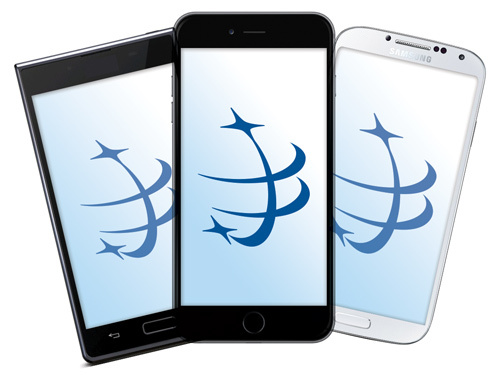 Star2Star can turn iOS and Android devices, and even desktop or laptop computers, into fully featured softphones that use the employees designated work extension. This extension will even show up on Caller ID when the user dials out, protecting their personal number. Phones using StarPhone™ for iPhone and StarPhone™ for Android or computers using StarPhone™ for Desktop make and take calls using any sufficiently strong Internet connection, including public WiFi hotspots, without using any plan minutes. If no Internet connection is available, calls can be placed over a 3G/4G connection. 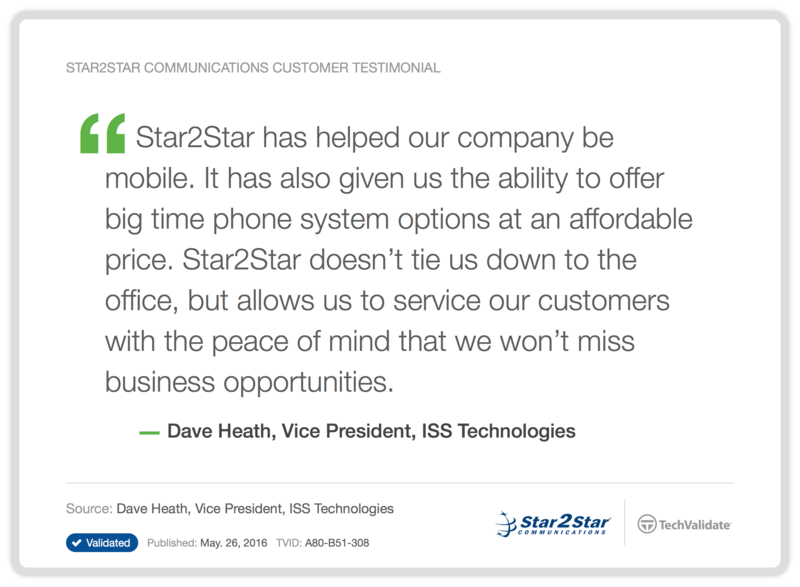 Star2Star's Hybrid Cloud Communications Solutions are so much more than just voice, and our mobile solutions are no different. Not only can users make and take calls using their mobile devices, but they can use a number of Star2Star's other features and services as well. For example, Star2Star users can access their voicemail from mobile devices, meaning that no important message is ever missed. Softphone users will show up on StarScope® 2, making it easy for managers and co-workers to know if they are currently reachable. Users can also access their User Settings and personal contacts list. StarFax Mobile is a smartphone application that allows StarFax Personal users to send and receive faxes on their mobile device. StarFax Mobile will send faxes to or receive faxes from a StarFax Personal account or to a fax machine, all from an easy-to-navigate mobile interface. StarFax Mobile enables StarFax Personal users to quickly connect and transmit critical documents even if they cannot access computer or fax machine.